In our opinion, the answer to this question is a firm YES. Brisbane living is very interesting, we get about 6-8 weeks of too hot, 6-8 weeks of too cold and the rest is just right. Very few brand new houses would consider foregoing air conditioning as the ‘too hot’ period is deserving of relief from the sticky, can’t breathe, torture of 35+ and 95% humidity. During the ‘just right’ period, you’ll find most people with windows open, fans going, birds chirping and the smells and breezes of God’s country wafting through their homes – shorts, singlets, sunnies and flip flops at hand with jumpers nowhere to be seen. In our opinion, the same logic should apply to the ‘too cold’ times, when standing on the bathroom floor before your shower has you feeling like you’re arctic fishing and the only relief you get is directly under the 3 in 1 bathroom heat/light or scorching yourself in a shower that’s too hot. Every winter we have a few cold snaps that are bloody freezing! Waking up to our lowest can be about 4 degrees which is cold cold cold! We don’t get this weather for long but it’s fair to say it’s pretty chilly for a few months and there is nothing better than a fireplace during these times. We so enjoy sitting with the family on those cold evenings and pressing that little button which transports us to a chalet somewhere in the mountains. We go from our sun soaked summer oasis to our little winter wonderland and it’s all at the push of a button. 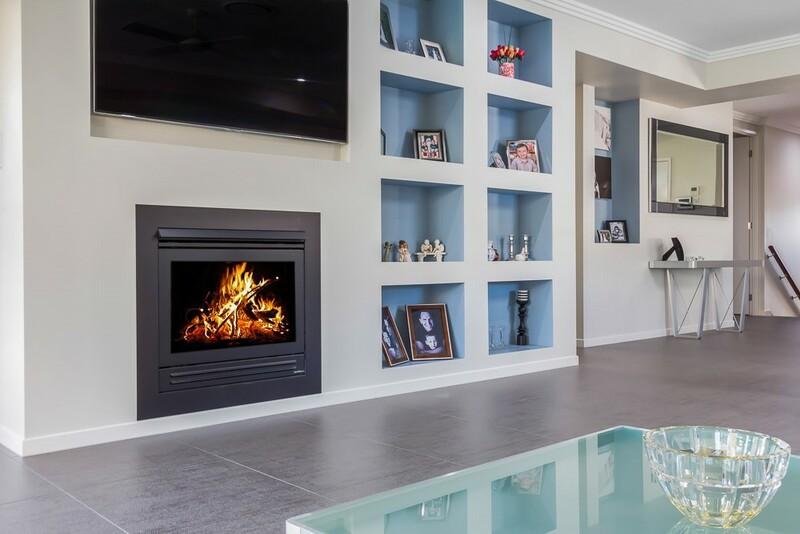 Some may prefer wood stoves and fireplaces or reverse cycle air con but our vote is the convenience and appeal that comes with a gas fireplace which is why you’ll find one in all our homes.